This stunning mountain estate boasts classic Mid-Century Modern lines. 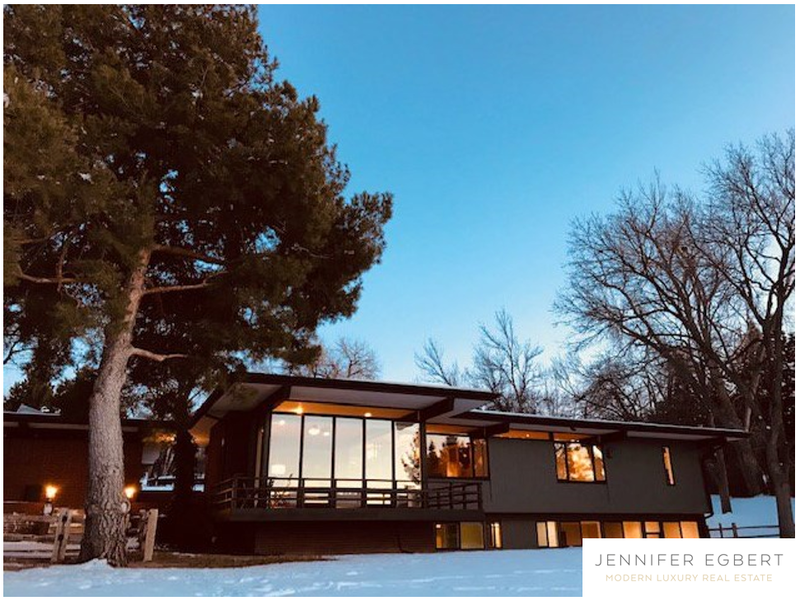 Privately situated on a gently sloping 1.32 acre lot and just steps to open space-walking trails, this spectacular home boasts an open floor plan, floor to ceiling windows, interior beams, a 5 piece master bath, an attached greenhouse and newly refinished hardwood floors. West facing wall of windows allows for both abundant natural light and spectacular mountain views. Quiet cul-de-sac street just minutes to Boulder. Listed by Delaney Realty Group.